Future household names Reneé Zellweger and Matthew McConaughey were struggling nobodies when they starred in Texas Chainsaw Massacre: The Next Generation back in 1994. The horror franchise’s fourth entry was written and directed by the original Texas Chainsaw Massacre’s writer, Kim Henkel. The Hollywood stars would probably like to forget they ever made the horror sequel in the first place. Zellweger shows no signs of her impending stardom in this early role, but McConaughey’s maniacal villain steals the movie. His performance hints at future greatness. Promising a return to what made the original a genre classic, Henkel’s movie is typical genre fodder from the 1990s until it descends into chaos and craziness during a madcap final act. 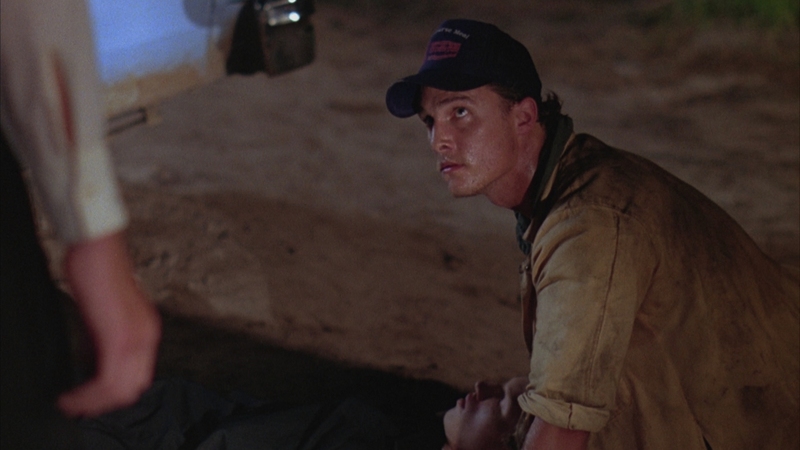 Only an insanely intense performance by then-unknown Matthew McConaughey saves the film, overcoming a disappointing version of Leatherface who doesn’t even get to use his trademark chainsaw on a victim. An oddly-matched group of high school seniors get into a crash on their prom night, far off the beaten path. Looking for help, they come across every horror fan’s favorite clan of sadistic Texas hillbillies. The two couples are in for a long night of gore and terrifying violence, delivered by the hands of Vilmer (Matthew McConaughey) and Leatherface. The protagonists are dumb and blindly walk into danger. This isn’t unpredictable plotting by any means. We do get a few token references to classic Texas Chainsaw Massacre moments, including victims on a meat hook. 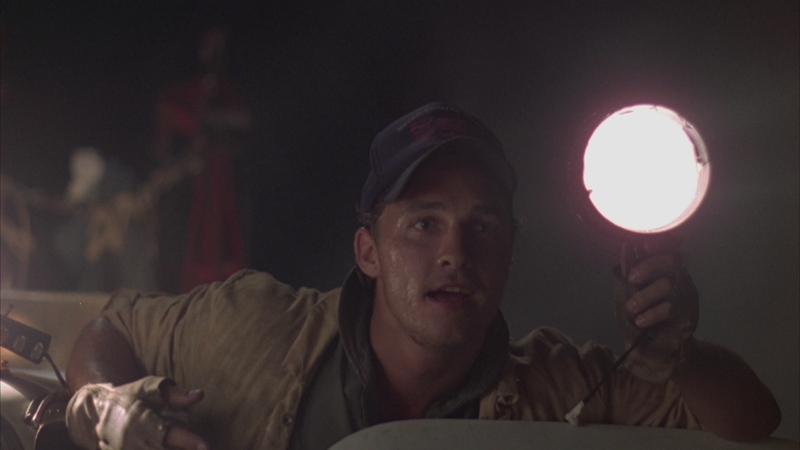 If McConaughey is not on narcotics in these scenes, he’s a better actor than I ever thought. Lots of weird stuff happens that is inexplicable. 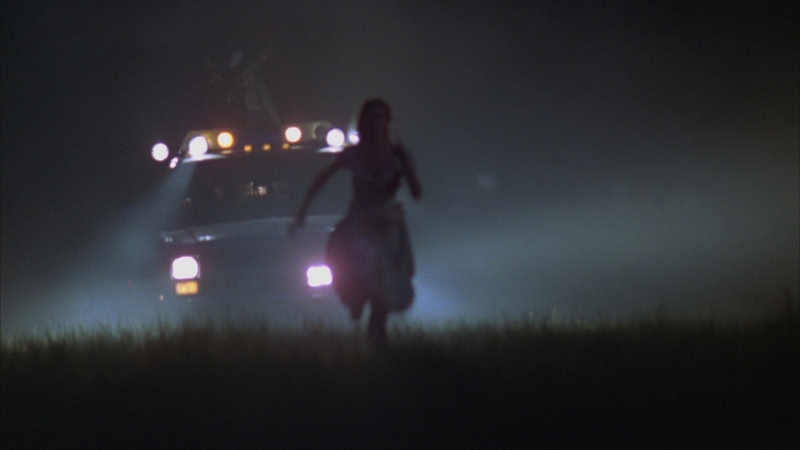 The final act is 100% crazy town, a horrific fever dream that introduces a strange man riding around in a limousine. The off-kilter action and terror goes from over-the-top gonzo to bizarrely timid at the drop of a dime. The only constant is Matthew McConaughey’s charismatic performance. If he’s not on narcotics in these scenes, he’s a better actor than I ever thought. Look for three cameos by actors from the original Texas Chainsaw Massacre. This is not a great Texas Chainsaw Massacre sequel and many of the franchise’s fans have never been happy with it, introducing a bunch of unlikable high school protagonists as victims, but it’s entertaining on some level. The manic final act is worth sticking around for, if only to see future stars Zellweger and McConaughey. Long-time fans will be disappointed by this Leatherface, a lame knock-off with none of the grit and horror associated with the original. Scream Factory has done everyone a huge factor including the longer, unrated director’s cut (93:18) and the original theatrical cut (87:18). For many years, the only way to see the director’s cut was importing the Canadian DVD. All other DVD editions only included the theatrical cut. There are about 30 different cuts between the two versions, about six minutes in total. The additional footage is mostly character development and alternate shots, though it does add a brief moment of Jenny getting sexually harassed by her stepfather. Unfortunately, only the theatrical cut receives a complete HD transfer. Scream Factory used the available standard-definition footage to complete the director’s cut. So the director’s cut is mostly in HD with some six minutes of SD video. Both are presented in 1080P resolution at their intended 1.85:1 aspect ratio. Prepare to be underwhelmed by either transfer. Licensed from MGM, the presentation is soft with murky definition. Some sharpening and messy AVC compression add to the visual problems. It’s hard calling this a film-like transfer. The scan resembles an older telecine struck by MGM years ago. Detail is erratic and black levels are spotty. Shadow delineation is usually weak, leading to some crushing of black levels. The original audio is presented in 2.0 DTS-HD MA. The serviceable stereo mix has decent dynamics and okay fidelity. Nothing really sticks out on this soundtrack from the 1990s. It would have been nice if the chainsaw’s roar made more impact. Scream Factory brings Texas Chainsaw Massacre: The Next Generation to Blu-ray for the first time anywhere in the world. Bereft of legitimate special features on DVD for its history, this collector’s edition serves up several new featurettes and an audio commentary. This disc contain both the R-rated theatrical cut and unrated director’s cut. As expected, the two famous actors appear nowhere in the extras and are hardly mentioned. A making-of documentary on the movie is available on YouTube if you look around. The CE has reversible cover art and a slipcover is available. Pre-orders on Shout Factory’s website included a poster. Audio Commentary With Writer/director Kim Henkel – Found only on the Director’s Cut, a commentary by the man responsible for this strange sequel. It’s a reserved, quiet discussion with actor Joe Stevens that discusses scene specifics. Not a particularly lively or enlightening commentary. The Buzz Is Back (11:42 in HD) – An interview with director of photography Levie Isaacks. Marked For Death (16:01 in HD) – An interview with actor Tyler Shea Cone, who played Barry. Tyler recounts his early acting experience and his impressions of working on the film in Austin. If Looks Could Kill: The Return Of a Chainsaw Massacre (19:03 in HD) – Interviews with special makeup effects artist J.M. Logan and production designer Deborah Pastor. 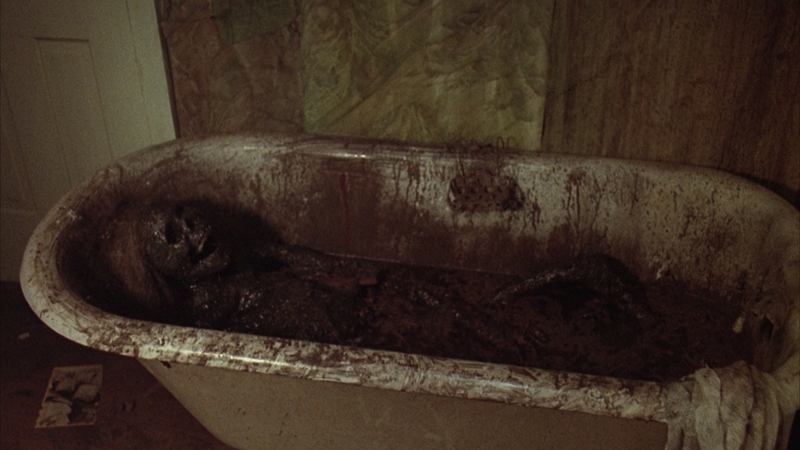 Logan came up with the Leatherface design in this movie. Texas Chainsaw Massacre: The Next Generation is not a great franchise entry but has a must-see performance by McConaughey as sadistic nutjob. The unaltered images below have been ripped from the actual Blu-ray. 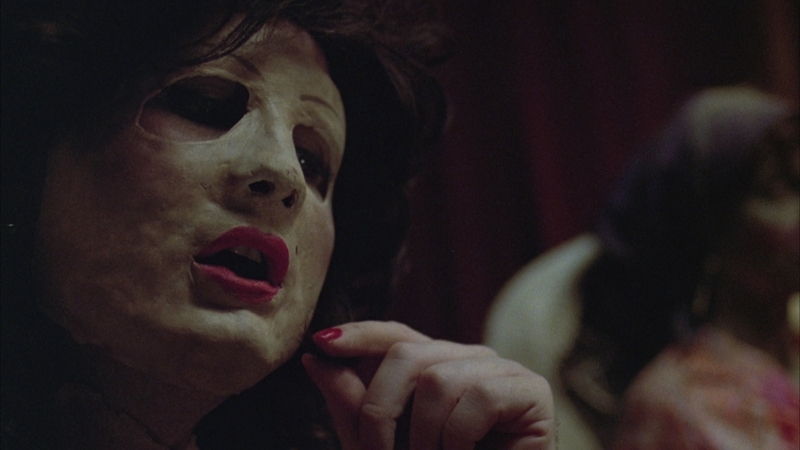 For an additional 26 screenshots taken from Texas Chainsaw Massacre: The Next Generation, early access to all screens (plus the 20,000+ already in our library) in full resolution, dozens of exclusive 4K UHD reviews and other perks, support us on Patreon.